Share the post "Dog Health Problems: How to Spot Them and Fix Them at Home"
Have you ever been faced with a sick or choking dog and had no clue what to do to help him? Doesn’t it feel god awful to stand by and watch helplessly… frantically trying to figure out how to save your dog? 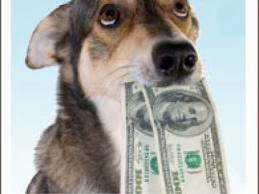 Now you can solve your dog health problems and avoid needless vet bills. Keep reading to find out how. How Do You Know If You Need a Vet? There’s nothing more frightening or confounding to a dog owner than unexpected dog health problems. And there’s nothing worse than taking your dog to the vet, spending $300 only to find out, it was some minor ailment you could have taken care of with a home remedy! Still, just like people, dogs have health issues, too. Some of these issues could be minor and some could be severe. The important thing is knowing when your pet is unwell and when to get him to the vet. But how do you figure that out? I’ll show you how to recognize dog ailments and when you should take your dog to the vet and when you can treat them yourself using home remedy aids. 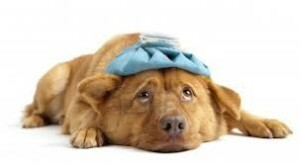 The list of health issues in dogs is closely matched to the list of ailments in people. Your dog might suffer an ear infection, a stomach ache, or even diabetes or heart problems. Because your dog can’t talk, it’s very important you recognize the signs of illness. If your dog is acting unusually lethargic, or doesn’t have that spark in his eye, chances are your dog is in trouble. Also, if your dog has a sudden and dramatic loss of appetite, your pet is not feeling well. Low, high-pitched whining means your dog is in pain. Patchy hair loss, runny eyes, irritated skin, limping are all signs there’s something wrong with your dog. There are a number of dog health problems to look out for, and many that can be avoided altogether. One of the biggest health issues in dogs is obesity. 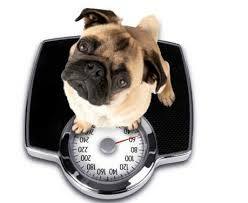 Dog obesity, just like in people, comes from too much food and too little exercise. Obesity can lead to a number of other health related problems, such as diabetes and heart failure, so it’s important to keep your dog fit. Make sure your’re feeding him the right food. Many commercial dog foods on the market are filled with by products and other unhealthy preservatives. Strive to buy dog food that’s pure protein. 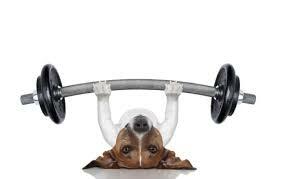 Exercise is just as important to you as it is to your dog. Some dogs need at least 2 hours a day of exercise. Mostly, the energetic breeds like Jack Russell Terriers, Siberian Huskies and other “working” dogs. If you’re near a park or a dog run, take him out for an hour in the morning. Then hire a dog walker to take him out for an hour in the afternoon. Then when you come home, take him out for 30 minutes. Your dog will not only lose weight and stay fit, but he’ll be exhausted and sleep well. If your pet seems to be less interested in playing outside and is moving more slowly than usual, especially during cold or rainy nights, then you might want to have him checked out for one of these ailments. Dog Health Problems can also be caused by allergies. Although you might not realize it, dogs can get allergies just like people. Some of the more common allergies in your pet could include food allergies or even flea allergies. If your dog is gnawing at his paws or scratching at his nose and ears on a regular basis, then you should have him checked for allergies. Another reason your dog could be scratching and gnawing is due to infection. Infections of the ears, eyes, or skin and teeth are commonly caused by bacteria or foreign objects. 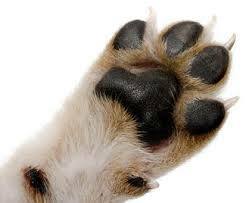 If your dog gets a splinter in his paw, it could lead to an infection if left untreated. An ear infection could also cause localized swelling and discomfort. In order to avoid common dog health problems, it’s best to keep your pet clean with regular baths, make sure they have a strict diet appropriate to their breed, and give your pet plenty of exercise. If you do suspect a health issue, see your vet right away. 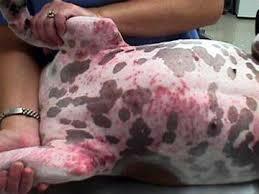 Diabetes is another one of many dog health problems that is often directly related to diet. Feeding your dog table food that’s high in fat or sugar (such as a leftover piece of cake and that handful of bacon) can potentially cause your pet to have this serious medical condition. If your dog does have diabetes, a vet can regularly give him insulin treatment shots. Another common health issue for dogs is arthritis and dysplasia. Pet owners usually have difficulty diagnosing these two ailments because of lack of professional training. 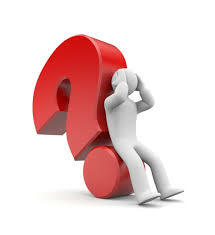 However, it is easy to diagnose if you know what to look for. 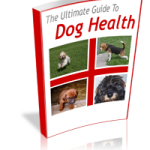 In fact, there’s a dog health guide book that teaches you how to diagnose any dog health problem and what to do about it. It’s called The Ultimate Dog Health Guide. The Essential Home Guide to Dog Health will help you diagnose your dog’s ailment, treat him, and also let you know if and when you should see a vet. It’s so important for you as a dog owner to be proactive about your dog’s health. By investing in The Ultimate Dog Health Guide, you’re insuring that you never ever have to stand by helplessly and watch your dog suffer!